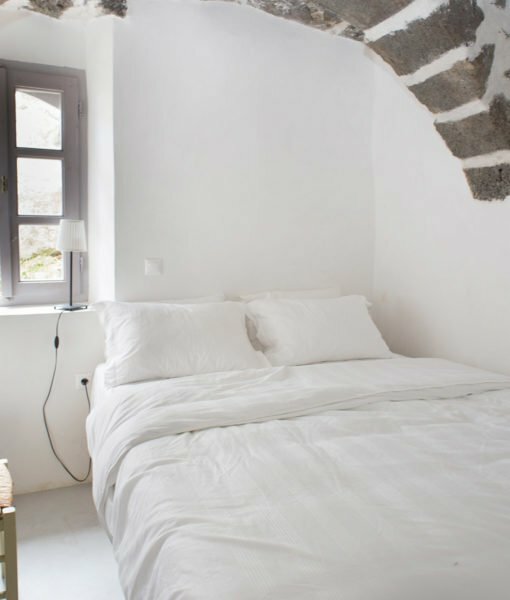 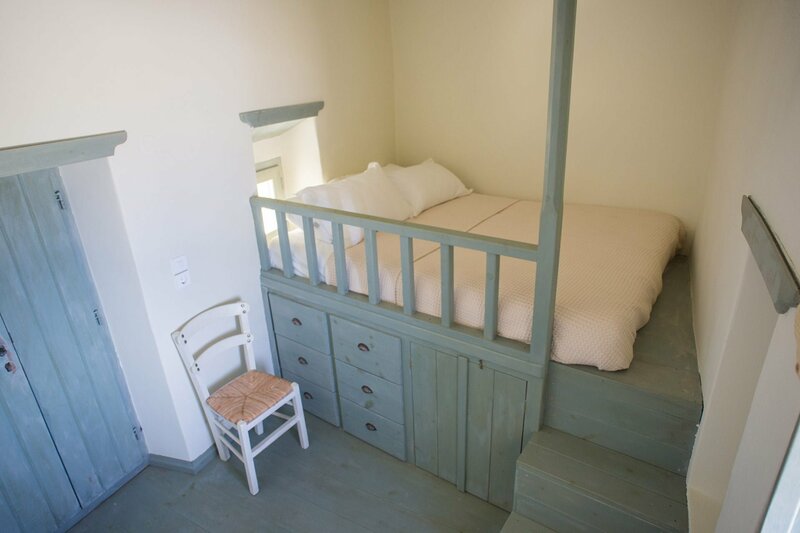 Weekly rates for Pyrgos Stone House start from £ total, depending on selected dates. 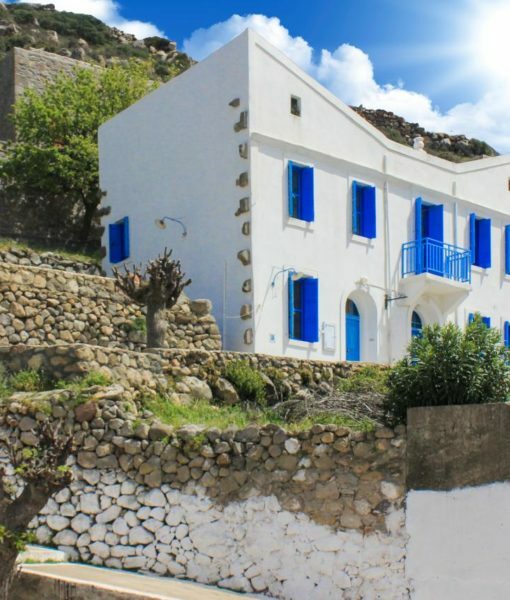 Pyrgos Stone House is a traditional Nisyrian house located in the tiny village of Emborios, perched high on the rim of the caldera. 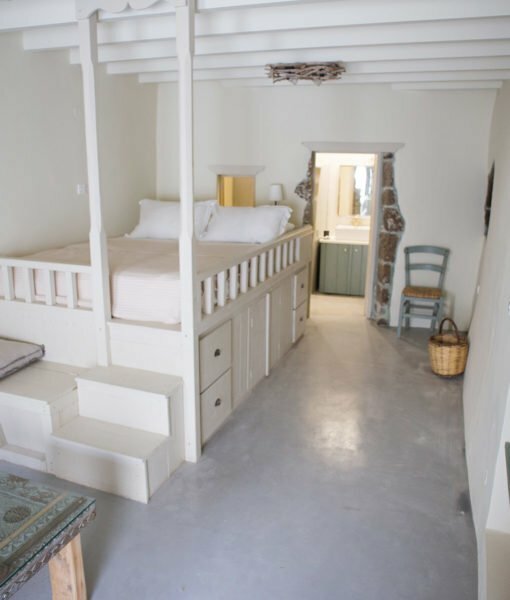 With no roads in the village, Pyrgos is a tranquil property within easy walking distance of the pretty town square and tavernas. 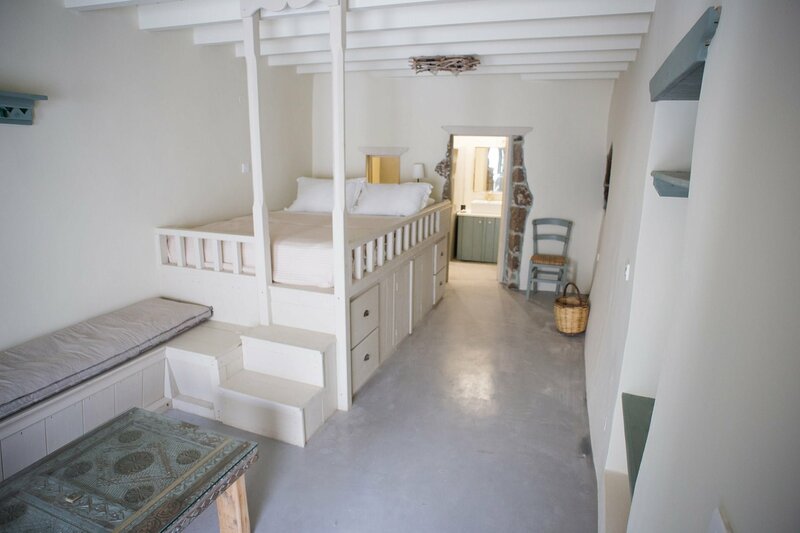 This beautifully restored house boasts three double bedrooms, each with a traditional elevated wooden bed – something our guests note as being extremely comfortable. 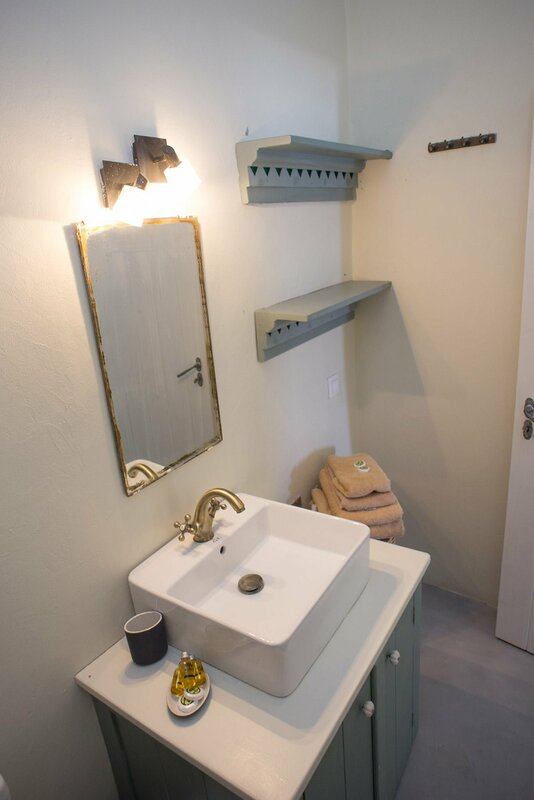 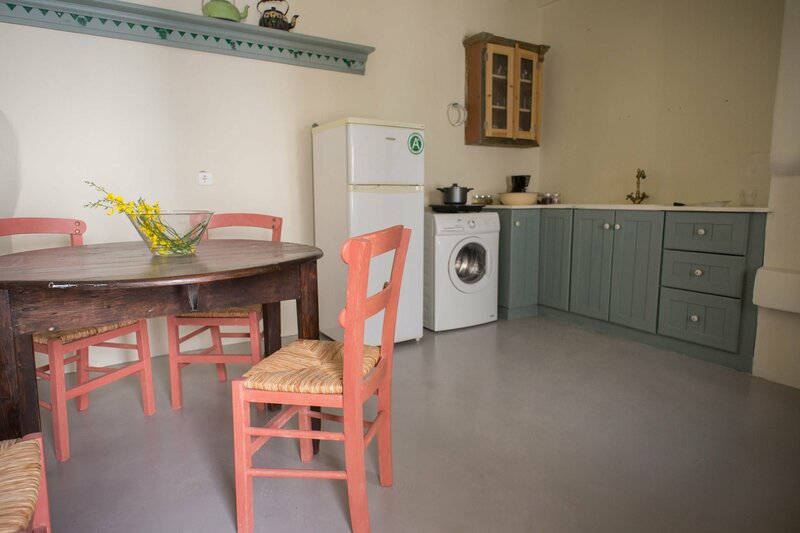 There are also two bathrooms and a fully equipped kitchen with washing machine. 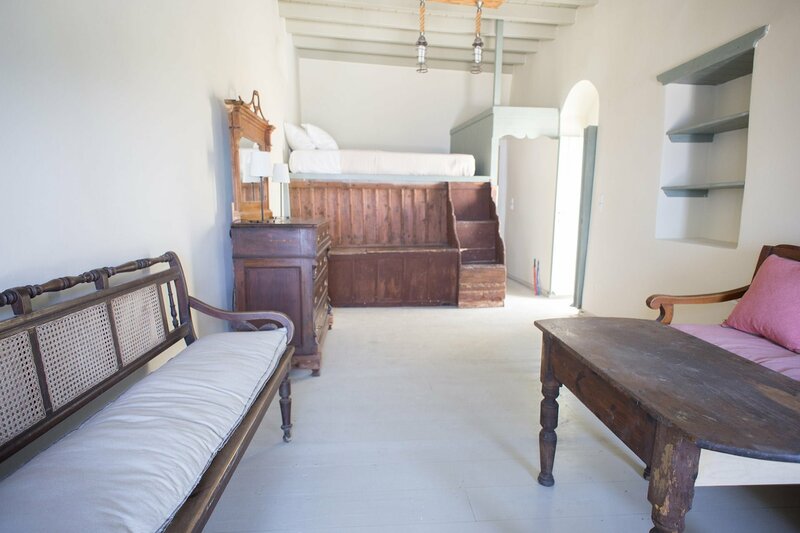 The house offers simple yet comfortable accommodation, with restored antique furniture and a quaint charm. 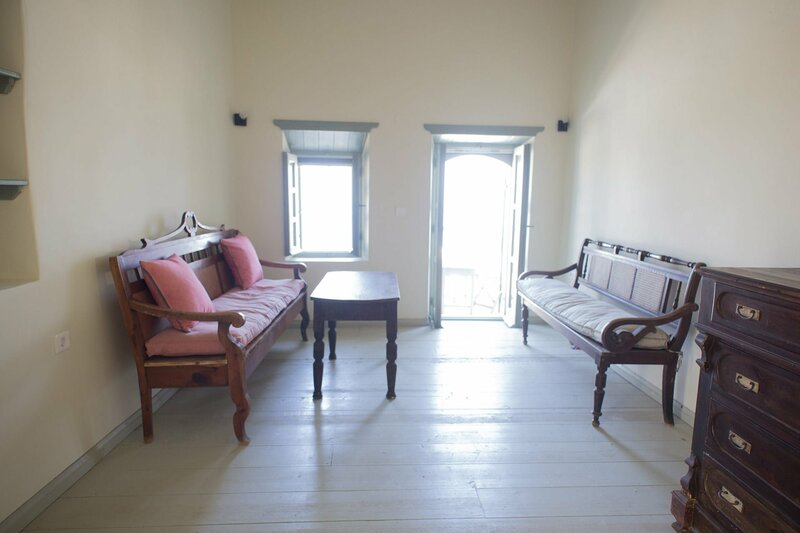 Its traditional construction keeps the interior cool with no need for air-conditioning. 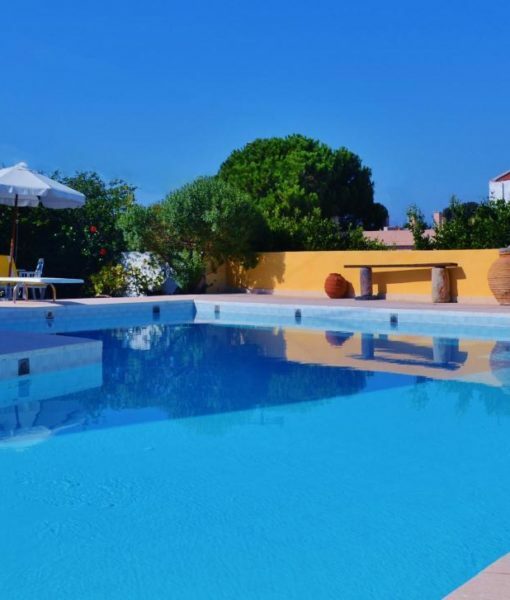 There’s an internal terrace paved with volcanic black stone, offering a cool spot to relax and sip your coffee or glass of wine. 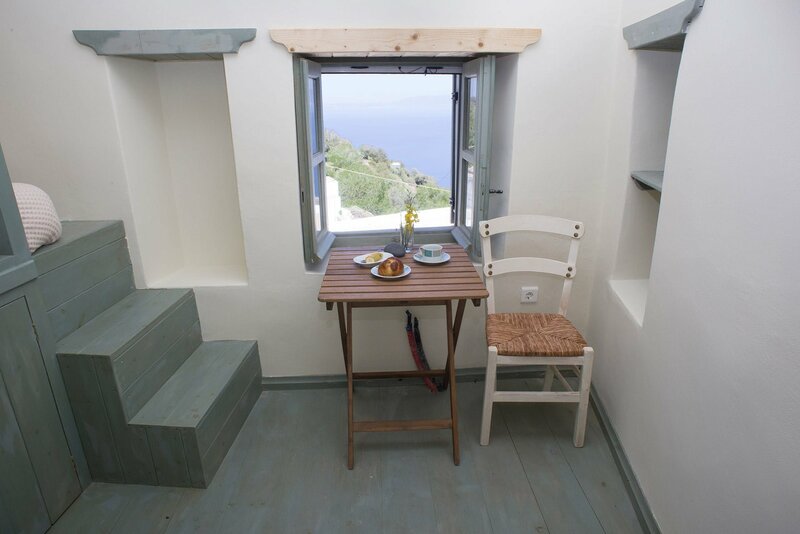 The upstairs bedroom also has a balcony offering views of the mountains, the deep blue of the Aegean Sea, and distant views of Kos and Turkey.